Kwara (Yoruba: Ìpínlẹ̀ Kwárà) is a state in Western Nigeria. Its capital is Ilorin. Kwara is located within the North Central geopolitical zone, commonly referred to as the Middle Belt. 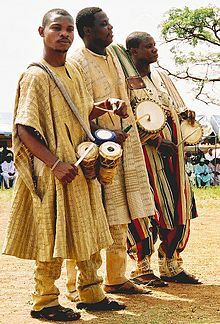 The primary ethnic group is Yoruba, with significant Nupe, Bariba, and Fulaniminorities. Kwara State is one of the 36 states that make up the Federal Republic of Nigeria, Africa’s most populous country. Kwara State shares her boundaries with the Republic of Benin at her West and the Niger River at her North. The capital city of Kwara State, Ilorin, is situated 306km inland from the coastal city of Lagos and 500km from the federal capital, Abuja. Major towns include Ilorin, Offa, and Jebba, located on the Niger River. Other towns include Patigi, Erin-lIe, lIoffa, Adeleke Igbewere, Ejidongari, Osi, Lafiagi, Gure, Afon, Kaiama, Isanlu-lsin, Omu-Aran, Egbejila, lIota, Iponrin and Igbaja. Kwara State was created in May 1967, as one of the first of 12 states to replace the nation’s four regions. Originally the state was known as West Central State but the name was changed to Kwara, a local name for the Niger River. The size of the state has been reduced over the years, as new states have been created within the federation. The total landmass of Kwara State today is 32 500 square kilometers. Kwara State is known as ‘The State of Harmony’ on account of the peaceful relations that exist among its multicultural and diverse population of about 2.5 million people. Followers of the three great religious faiths to be found in Nigeria, Islam, Christianity and traditional, coexist within the state. Major Languages: Yoruba, Ebira, Nupe, and Hausa. As of 2006, the population of Kwarans was 2.37 million based on the Nigeria 2006 Census. This population size constitutes about 1.69% of the Nation’s total population having relied upon immigration for population growth and socioeconomic development. Kwara has a federal university, the University of Ilorin, a state university, Kwara State University, two polytechnics, Kwara State Polytechnic and Federal Polytechnic Offa, three colleges: the college of education, Ilorin, school of Health technology, Offa and college of Nursing, Ilorin. It is also home to three Private universities; Landmark University, Omu-Aran, Crown Hill University, Eiye N’korin, Al-Hikmah University, Ilorin and Summit University, Offa. There is also a navy school and aviation college.